Gootkit has been observed targeting credentials for customers of a range of French financial institutions, including Crédit Mutuel, BNP Paribas, Le Crédit Lyonnais, Crédit Agricole, Société Générale, BTP Banque, and Crédit Coopératif. In March 2015, this distribution expanded to include customers of French and Italian banks through spam campaigns  that are still ongoing. 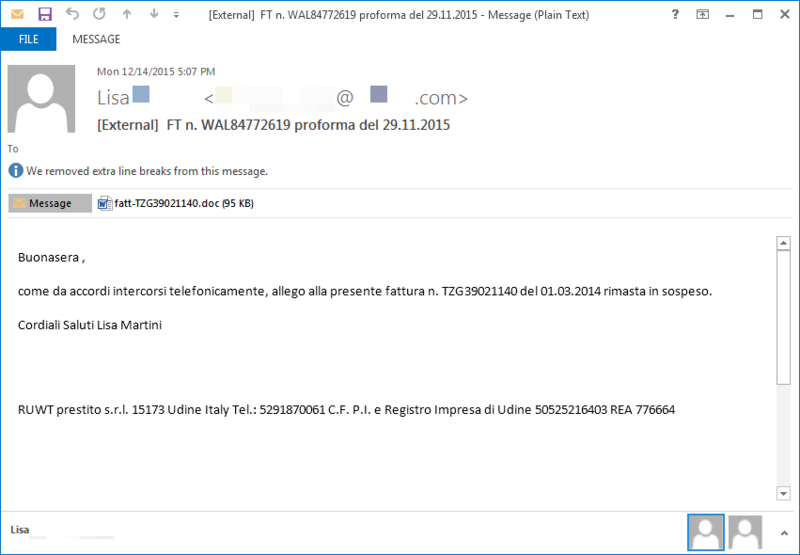 Here is an example of an email and accompanying Word doc used to deliver Gootkit to Italian targets in December of 2015. 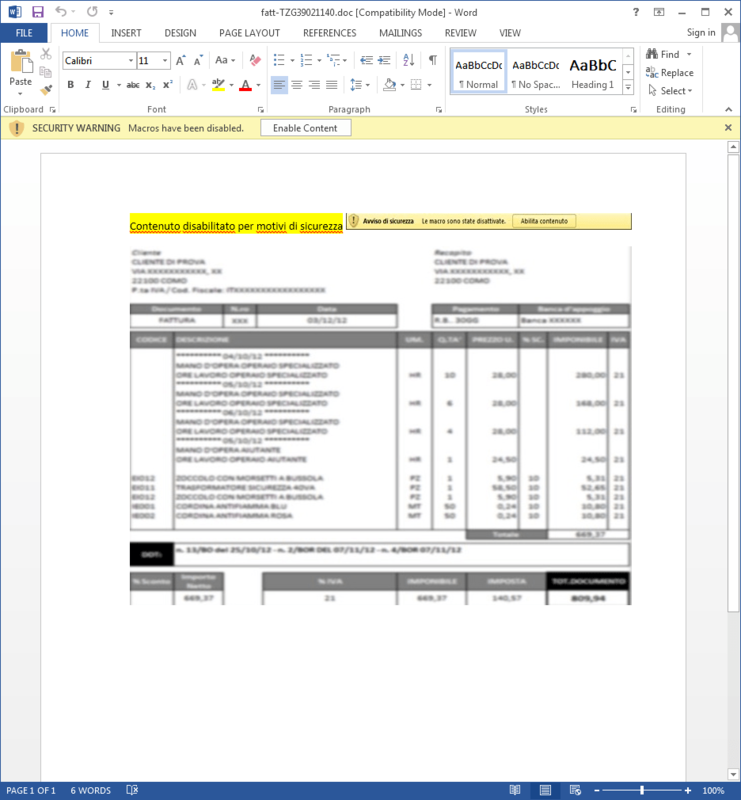 This expansion continued in late October, as Proofpoint researchers observed Gootkit being dropped by Angler EK through multiple infection paths in Canada. Since 2015-11-26, Gootkit has also been seen dropped in Great Britain via Angler EK at the end of a malvertising infection chain. 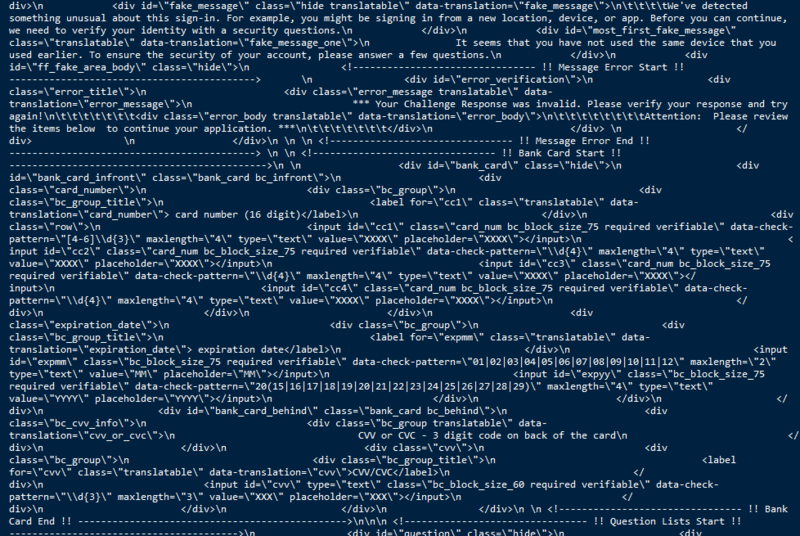 Configs from the UK-focused injects (Fig. 6) show that these latest payloads are attempting to capture information from customers of a range of financial institutions that are based or operate in the UK, including Paypal, Santander, Natwest, Ulster Bank, Royal Bank of Scotland, and Barclays. This expanded targeting follows a trend we have observed in recent months, as threat actors seek to reach new victims by shifting their distribution to new regions and verticals. With Gootkit finally crossing the Channel it would not be surprising to see it in other regions in the near future, as well as to see other malware with limited geographic presence (such as Shifu) jump on this trend.